Item # 303757 Stash Points: 2,995 (?) This is the number of points you get in The Zumiez Stash for purchasing this item. Stash points are redeemable for exclusive rewards only available to Zumiez Stash members. To redeem your points check out the rewards catalog on thestash.zumiez.com. Show your love for baseball with a splash of floral flair in the Petals & Peacocks x '47 NY Yankees Strapback Hat. 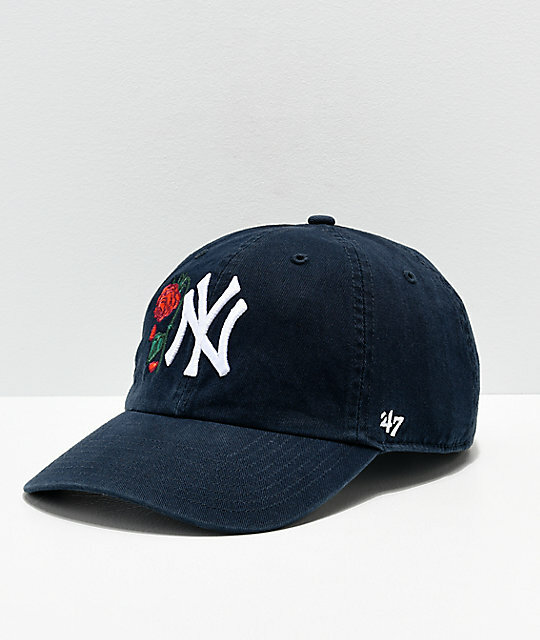 This low profile strapback style hat features a large embroidered Yankees logo at the front crown beside a wilting rose patch logo. 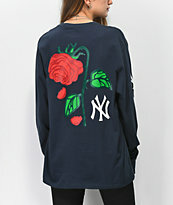 The left side adorns a '47 brand patch logo while the right has embroidered text that reads "I left my heart in the New York." Finished with a Yankees logo embroidered at the back this all black hat has a loud look that is sure to turn some heads. 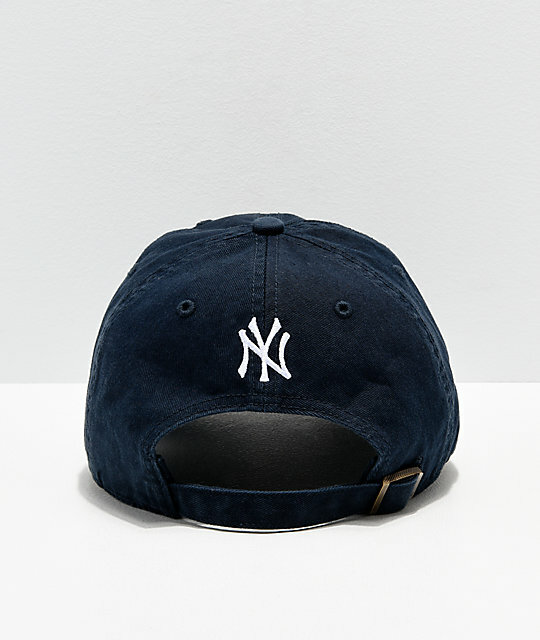 NY Yankees Strapback Hat from Petals & Peacocks x '47. Official Petals and Peacocks and '47 collaboration. 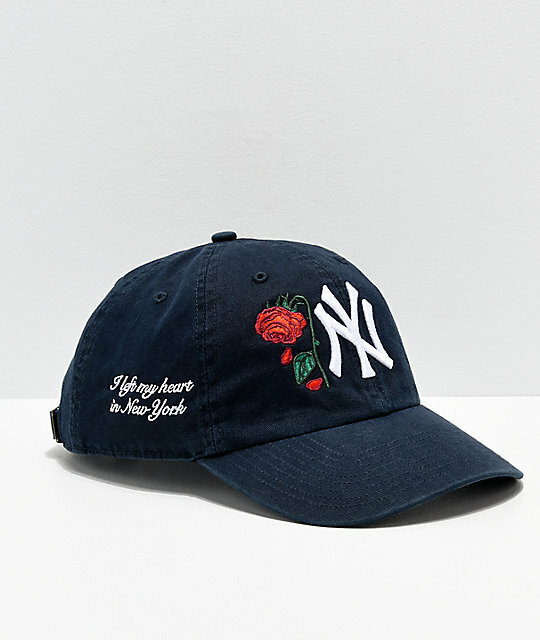 Unstructured six panel crown with an embroidered NY Yankees logo at the front next to an embroidered wilting rose. Patch logos at left side and back of crown. Embroidered text on right side of crown that reads "I left my heart in New York."